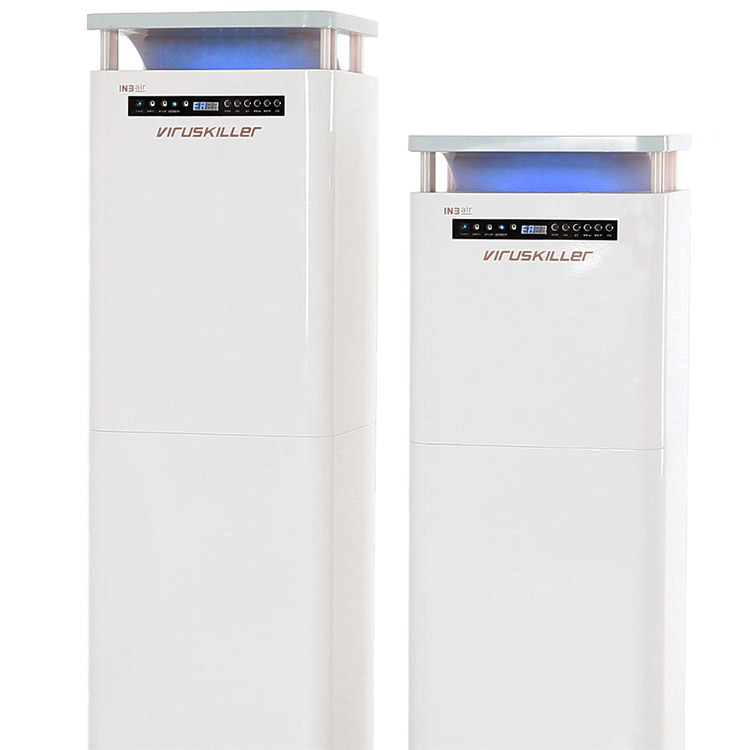 The three main components to perfect within an air purifier plus steriliser are the ultra fine particle collection, maximum air flow and optimum sterilisation. We created the VK Medi range with those three factors in mind and we are proud to say that we have industry leading results with all three factors. The combination makes the VK Medi range the very best solution on the market and is suitable for many market sectors. The VK Medi will cover up to 100 square meters and although it has a powerful turbo fan, the noise level is very low as we have applied noise cancelling technology. The VK Medi range has multiple sensors and monitors dust, germs, VOC’s, temperature and humidity. The unit displays indoor air quality and allows for automatic settings at desired levels as well as iOT applications for remote monitoring and data collection. The VK Medi is plug and play operation with no special installation requirements. 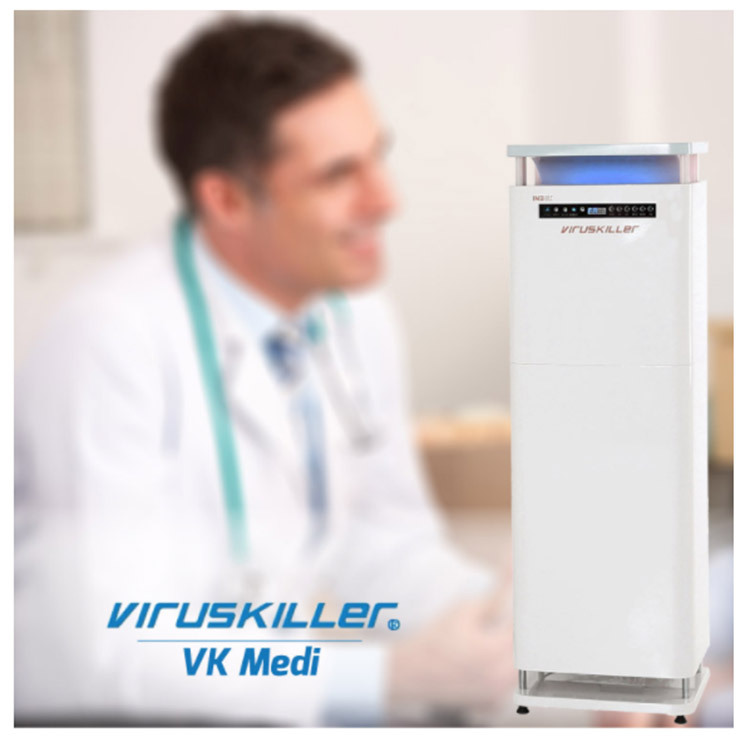 The Radic8 VK Medi is the choice for those who want to have the very best air purification plus sterilisation solution. 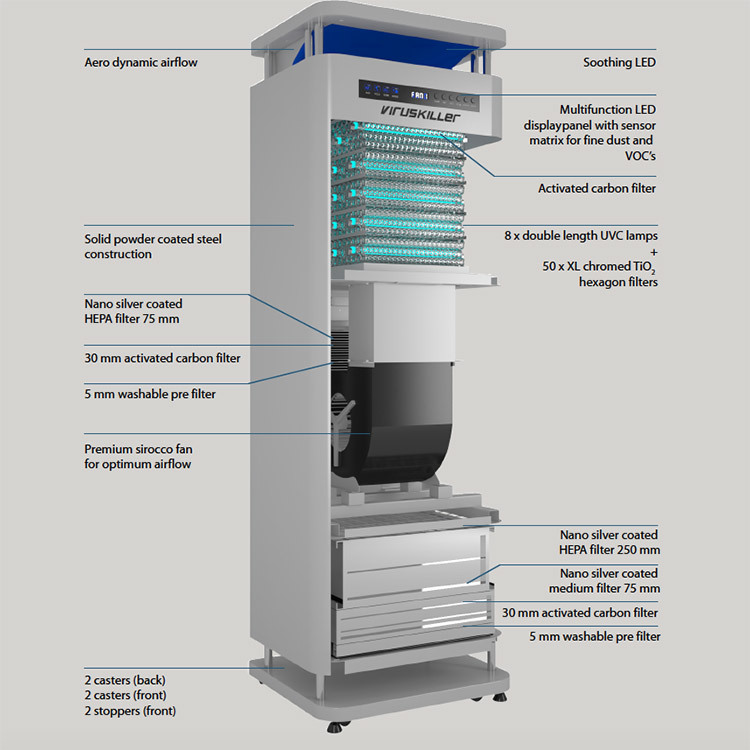 Other ‘professional’ air purifiers on the market generally offer a series of filters that need changing regularly and offer no effective sterilisation module, this is why the VK Medi outperforms every current option available whilst being surprisingly cost effective. 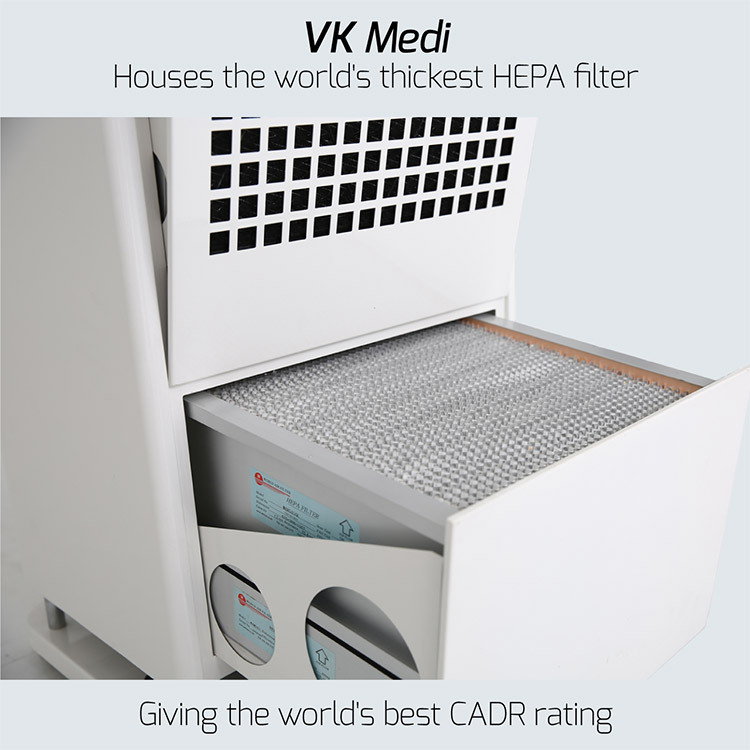 The super thick Hepa filter has a long lifetime so it becomes more cost effective than multiple smaller filters that all need changing regularly. It is worth keeping in mind that the patented VK reactor cell comes after the super thick Hepa and other mechanical filters in the VK Medi, so where other technologies end, ours is just beginning.